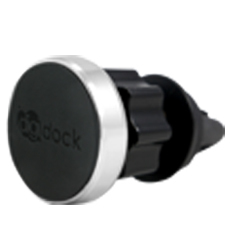 DIGIDOCK Magnetic Air Vent Mount The AV-02 MG is a compact and unique gadget that goes into your air vent through a rubber-coated clip. WithFull 360-degree rotation, it allows you to view your phone from any desired angle while keeping your hands on the wheel. 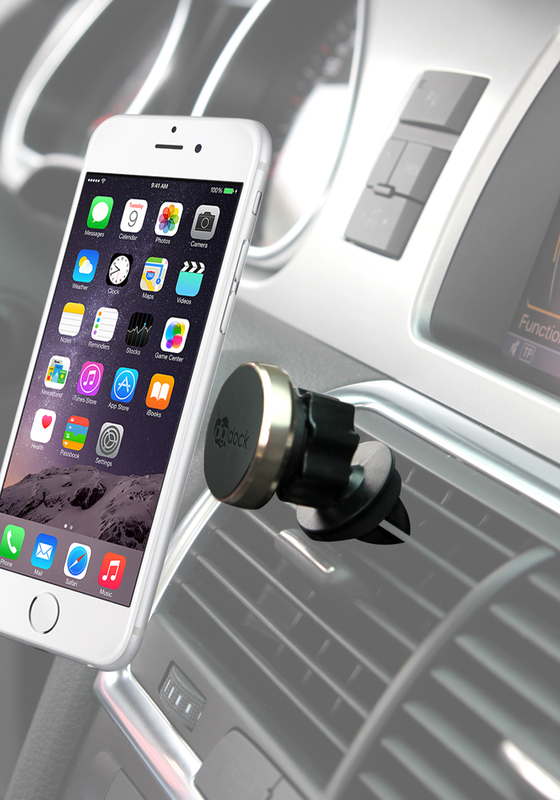 The magnetic mount aims to provide a permanent and also convenient mounting system. 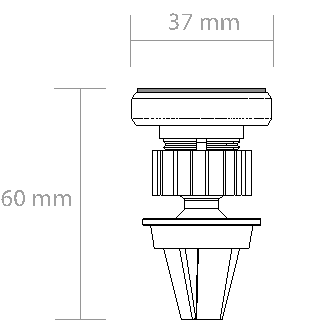 It is designed to be petite and simple yet surely functional to your mounting experience. More, thanks to the powerful force of attraction, it can hold up most of phone-size mobile devices. In other words, mounting can be so easy and direct by just snapping on and off! Color black, silver, gold and rose gold are currently available for purchase. 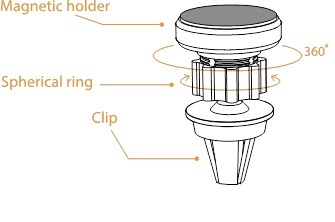 ·360 DEGREE SWIVEL Same as our other product, it’s important to choose how you want to glance at your phone by adjusting ball joint. ·SMALL AND SIMPLE The aluminum bezel provides an elegant look when you leave it alone on the dashboard. 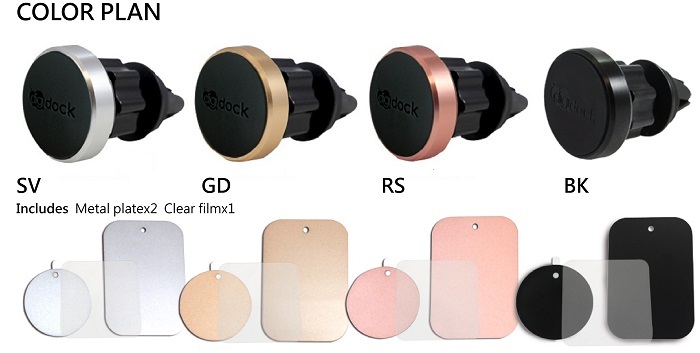 It currently comes with black, silver, gold and rose gold trim. 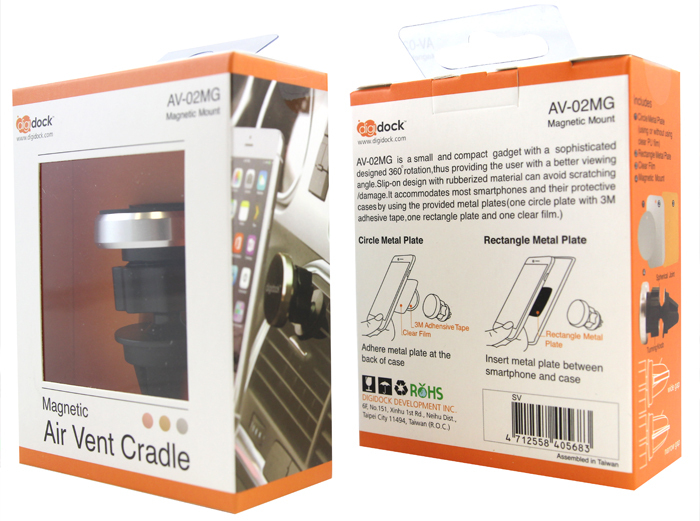 ·GREAT DURABILITY It can hold up all phone-size mobile devices. It’s time to swiveling or rotating your phone without falling off! ·POWERFUL MAGNETS The gadget comes with strong magnets providing the best force of attraction; the swift-snap holder allows you to snap on and off your device easily. ·RUBBER COATED CLIP Reduce the damage to the fin of the air vent. 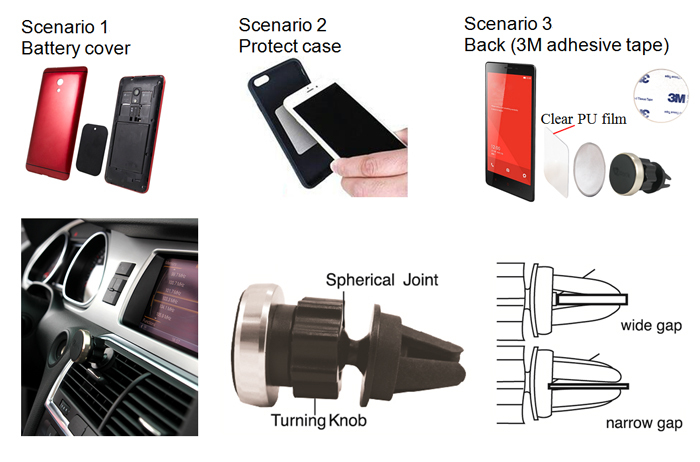 More, it makes sure that the mount will firmly attach and keep the device in place regardless of any road impact. ·EAST TO INSTALL & REMOVE No tools needed. Quick and easy installation save your time and energy. 2. Rotate to find your perfect angle. 3. 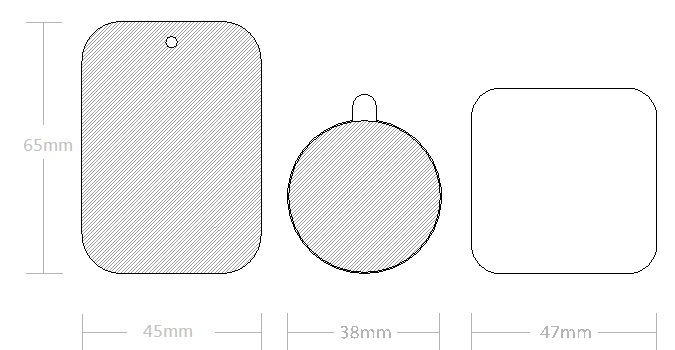 Place the metal plate within the case, or stick the metal plate directly onto the back of your phone. Please note that the adhesive tape is suggested to be used only once. 4. Snap on your phone and you’re ready to go!